Leaders of organizations tend to overlook succession planning because they don’t think they have time for it or they’re unsure of the next steps. Succession planning shouldn’t be overlooked, though, because it sets the organization up for success through leadership continuity. If it’s not executed correctly, it will have a long-lasting, negative impact on the organization’s financial and operational performance. 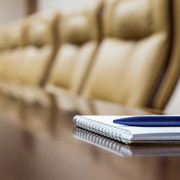 At Athenian Consulting Group, we offer succession planning as part of our CEO Advisory Services, and below, we’ve included a few general recommendations for a key part of the process: finding the right successor. As mentioned above, succession planning can seem overwhelming and time-consuming if you think you have to do it alone. Engage stakeholders like your board of directors or an outside consultant to provide insight into the candidate profile. That profile should be flexible and regularly altered to meet market conditions or changes within your company. As you change that profile, keep your stakeholders informed so that they’re on the same page for the vision of future leadership. As a leader, it’s natural for you to seek a skill set similar to yours because you’ve led your company down the right path. However, you should consider the future needs of your company based on its current and future state and align the candidate profile to fit those needs. For example, if your background is mainly operations but your company’s sales need significant improvement, you should look at candidates with strong sales backgrounds. It’s also good practice to look for candidates within your company, but don’t discount a well-qualified external candidate. Once you select a successor, you want to develop him or her into a leader who will continue to make your company thrive. Take advantage of the time you have to train your successor. Support him or her with a solid team of mentors, offer executive coaching and provide candid feedback. No successor is fully ready at the time you present the opportunity, so you need to take the time to develop him or her into the leader you see.